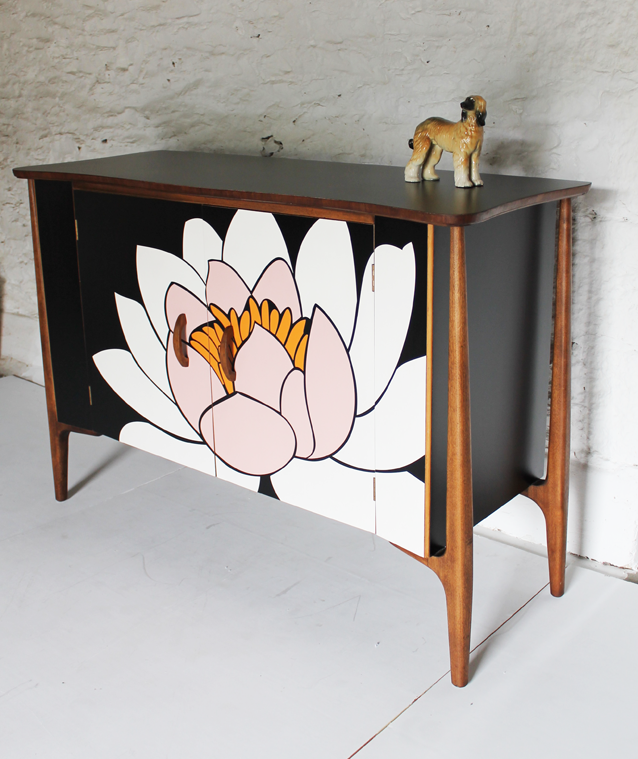 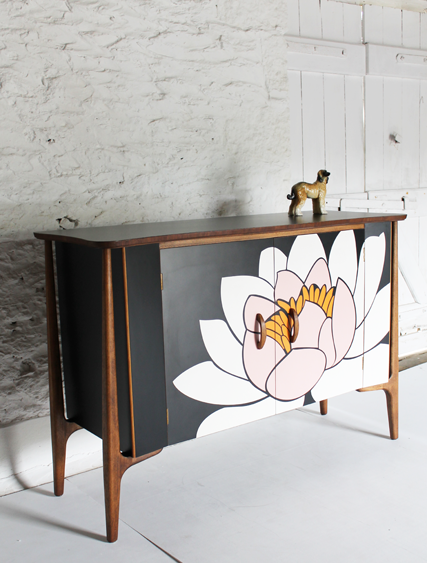 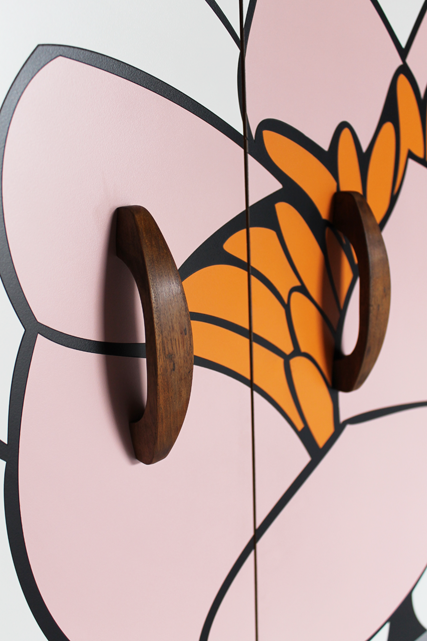 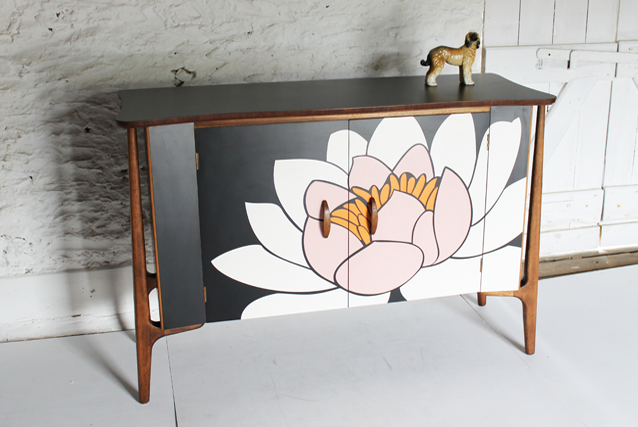 Black formica with a water lily design inlay using- almond blossom, levante and son white laminate. 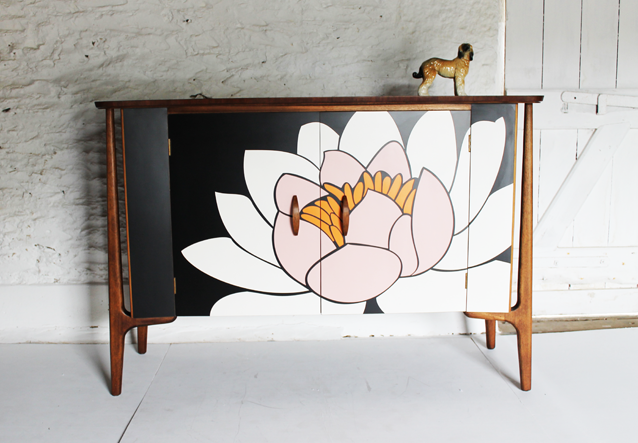 This lovely 1960’s everest sideboard is a fantastic storage design, the inside is cavernous but with The external leg design it makes the piece so elegant, and not bulky at all. 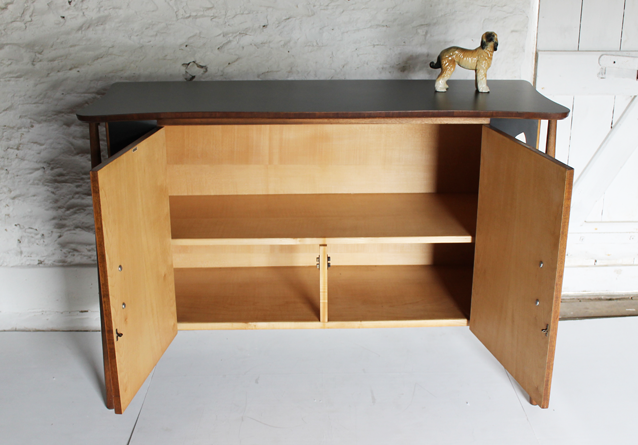 It has a maple interior and teak exterior features.